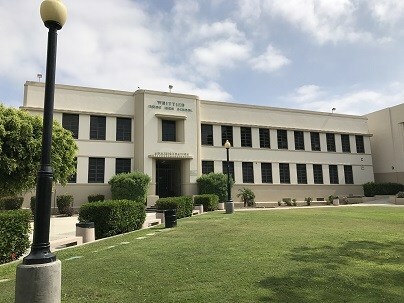 Whittier High School located in a residential area in the city of Whittier, has been serving students and their families since 1900. The current enrollment of 1850 includes students who live in East Whittier, North Whittier, Santa Fe Springs, Norwalk, Pico Rivera and some unincorporated areas of southeast Los Angeles County. One of five comprehensive high schools of the Whittier Union High School District, Whittier has consistently challenged its students to be high achievers in the classroom and to be enthusiastic, successful participants in sports, performing arts, and other co-curricular programs. Whittier High School graduates self-directed, productive members of the global society who, by virtue of rigorous curriculum and creative instruction forged in and out of the classroom, are prepared for all post-high school endeavors. 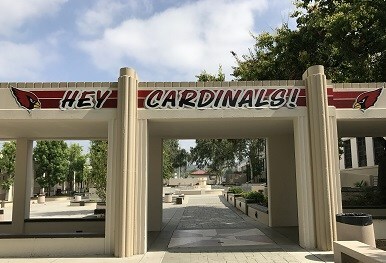 The Cardinal legacy continues to inspire the teachers and staff of Whittier High School to maintain the hundred-year tradition of excellence. We strive to provide our students with a comprehensive program that develops both mind and body, while ensuring a safe and secure environment where everyone can feel a sense of belonging. We are committed to providing our students with the best possible education to help them develop the skills required to be successful citizens of this new century.